Employers operating abroad or sending staff to work overseas, whether on an international assignment or a business trip, must take steps to safeguard their health, safety and wellbeing. For employers operating abroad or sending staff to work overseas, whether on an international assignment or a business trip, fulfilling their duty of care by safeguarding the health, safety and wellbeing of these employees is essential.Regular risk assessments, taking into account the ever-changing nature of the international scene and the evolving nature of risk, play an important part in determining how duty of care can best be fulfilled in the health and security context. Remote or otherwise challenging locations will require particularly detailed evaluation.This is still not well understood by some employers. Recent research by Collinson Group found significant variations in the risk-assessment procedures employed by organisations before an employee travels abroad for work. Only 44 per cent said they ensured that staff working overseas were issued with company guidelines for travelling on business, and only 38 per cent said they conducted risk assessments if the employee was going to an area considered high-risk.As well as being better equipped to meet their duty of care, employers who understand the risks of sending an individual on assignment will be in a strong position to assess the costs and benefits of the assignment than those who don’t. A range of different risks can affect employers, their relocating employees, and accompanying partners and family members. Unpredictable risks may include terrorist attacks.Not only as part of the planning and risk-assessment process, but also while the assignment is in progress, it’s vital to keep abreast of the latest developments and health alerts. The UK’s Foreign and Commonwealth Office (FCO) website is quick to respond with information when an international emergency occurs, and also provides foreign travel advice. Even after the crisis has passed, the FCO continues to monitor situations and offer advice and travel alerts.The internet is another valuable source of information, providing health and safety information for destinations worldwide, plus city and country guides that include safety advice. The increasing number of terrorist attacks in Europe, as well as civil unrest in Germany, has led organisations with globally mobile employees to rethink their security strategies and emergency response plans. No longer, it seems, can any region of the world be regarded as posing low risks. 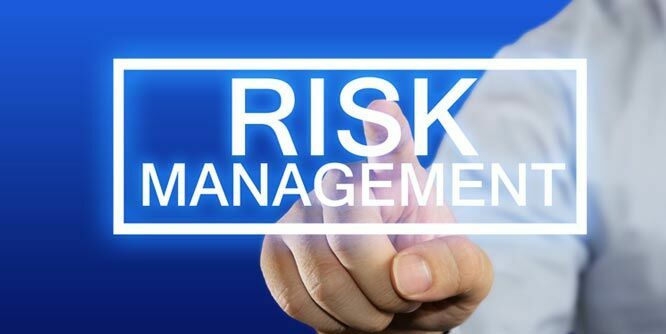 As part of their risk-management strategies, a growing number of organisations across the globe are turning to specialist intelligence, monitoring and crisis assistance companies, which can supply a range of services, many of them through new technologies. When evaluating potential security partners, it’s advisable to check that they offer a genuinely 24-hour service.Led by customer demand, there is a trend for iPMI providers to integrate security with healthcare cover and other products. Allianz Worldwide Care’s range of corporate assistance and risk management solutions, for example, includes integrated health, travel, security, occupational health and employee assistance programmes.Common sense, vigilance and good communication, on the part of both employer and employee, play an essential part in reducing risk and promoting safety. Staying informed is also key. Awareness of health and safety procedures, with emergency preparedness, should be included in international assignment preparation and intercultural training. Pre-assignment briefings focusing on, for example, street crime, no-go areas, and local traffic conditions can go a long way towards minimising predictable and manageable risks.It’s worth training key staff in first aid and emergency care techniques, and equipping the office with basic healthcare supplies.Once the posting begins, it’s important for HR to keep channels of communication open and agree with assignees a method of staying in touch, making sure they know whom to contact in an emergency.Employees must assume responsibility for their own safety by taking sensible precautions, avoiding unnecessary risks, and keeping in touch with their HR department. They should also discuss with accompanying family members how to prepare for and respond to the types of emergency most likely to happen in their particular location, and familiarise themselves with the emergency procedures at their workplace, their children’s schools, and so on.It’s also wise for employees to prepare a kit of basic items needed in an emergency – medical supplies, tinned food, and bottled water – and ensure emergency contact numbers and a mobile phone and charger are always to hand.Companies should ensure they have in place a well-rehearsed disaster preparedness or business-continuity plan, so they can continue to function in a crisis. For those operating in a location where natural events, such as earthquakes, are a hazard, regular staff training sessions should be a priority.Ensuring that international assignees, particularly those based in remote locations, are always connected is also key. This has been made easier by the ever-widening range of travel-tracking technology solutions, apps, and social media.In extreme circumstances, emergency evacuation may be the only option. This is a complex process best handled by experts. Emergency evacuation insurance is available.